Fall is absolutely my favorite time of year! I love the crispness in the air, the smell of people starting to use their fireplaces, and of course fall fashion! 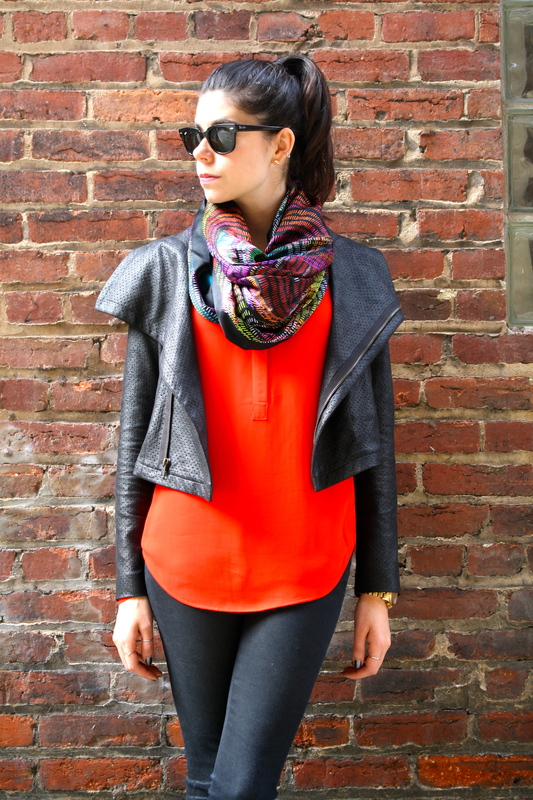 Nothing is better than throwing on a scarf, a light jacket, or a cozy sweater! I must say, a good scarf is absolutely my favorite! If DC didn’t get so damn hot in the summer, I would live in scarves year round. So obviously this is an exciting time of year for me and it was made even more exciting by this gorgeous Echo Design scarf! 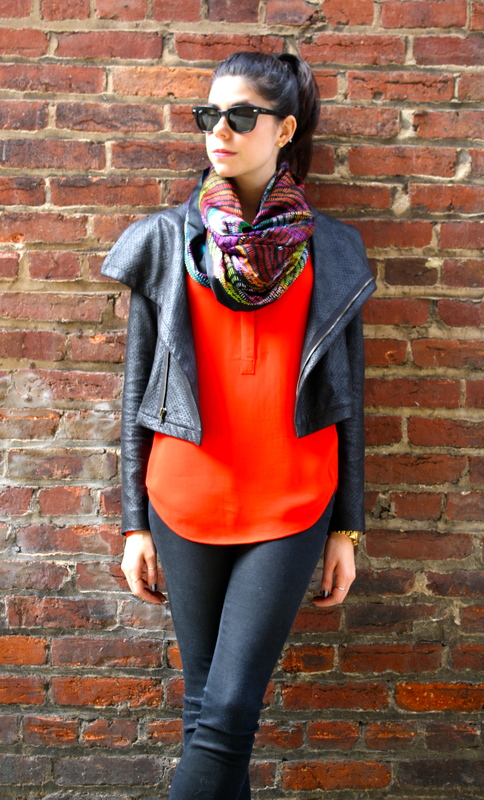 I love a bold scarf and this silk scarf is the definition of bold luxury that can literally be worn with everything! I am obsessed with the bright colors and truly believe that a scarf is not only practical, but also an integral part of each ensemble and must be treated as such! When donning a scarf make sure that it elevates your look, play with fabrics (I am loving that this scarf is silk, especially because it is so comfortable, lush and versatile), textures, sizes, and of course colors. 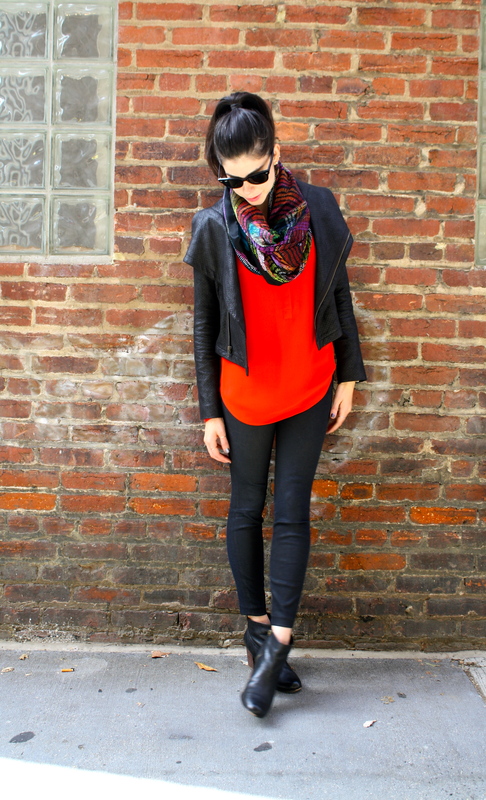 So how will you be rocking scarves this season? 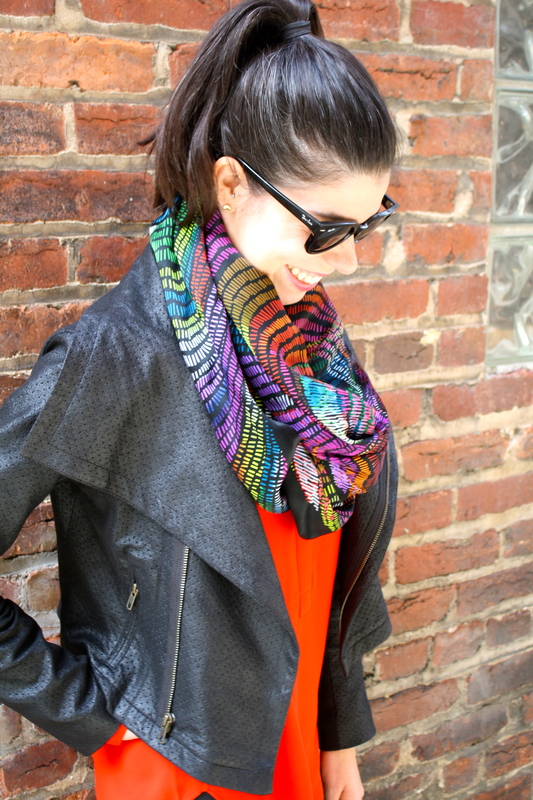 The colorful pattern increases the scarf’s wearability. 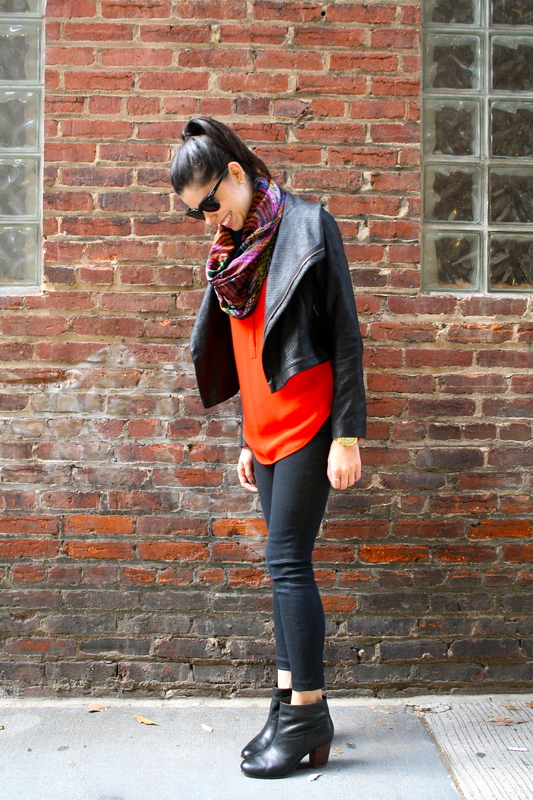 This is a pretty straight forward look that is really all about the scarf. I always say accessories change everything! While this scarf was a gift from Echo Design (thank you, Echo Design), all thoughts and opinions are my own. Trippy 70s inspired prints are dominating the print scene adding a much needed fabulous thematic edge to everyone’s closet. Prints are so amazing because they are perfect for all seasons, which is important when shopping on the cusp of cooling temperatures! 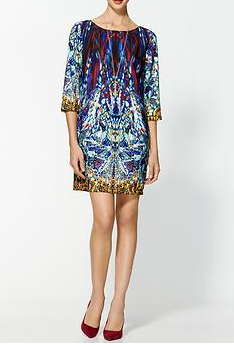 Once again it is time to shop some of my favorite looks, so channel the Beatles and shop these psychedelic pieces. 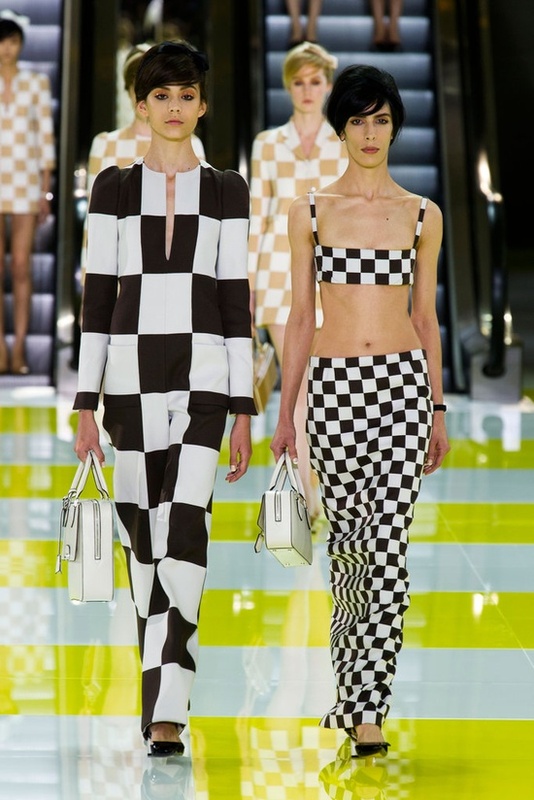 Black and White was all over the Spring 2013 runways and I am beyond obsessed! I already shared my spring uniform with you, and I have a sneaking suspicion that a lot of my spring looks will consist of this unbeatable duo. I think one of the reasons I am so in love with black and white is because it is unexpected for spring. It is a welcome departure from pastels and bright colors and instead introduces a visually mesmerizing contrast of opposites. 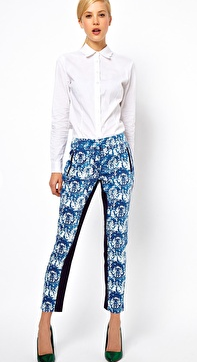 This trend is also wonderful because all the ingredients for a successful ensemble are in your closet already! 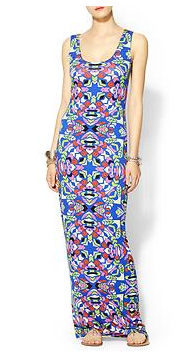 Obsessed with this elegant mixture of prints! Leather is another huge (and slightly unexpected) trend for spring and I could not be more obsessed. Love every component of this outfit and absolutely need that jacket! I am also all about stripes this spring and have a serious weakness for anything backless.